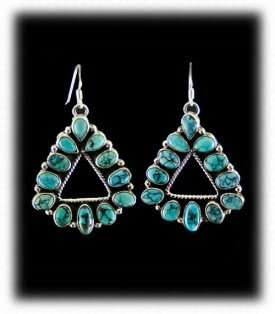 In the past Turquoise from the Blue Moon Turquoise mine has been rare and hard to come by. The Blue Moon Turquoise Mine is located in Esmerelda County, Nevada. For the last two months the Blue Dream Mining Company has been working this old mine. The turquoise produced has the most Beautiful High Grade and Gem Grade Black Spider-Webbed patterned, Dark Blue Turquoise that has been seen in a very long time. The Blue Moon mine is producing a light to medium blue Turquoise also with a nice spider webbing, has a black chert, with brown as host rock. The Beautiful High Grades and Gem Grades are to die fore! 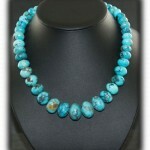 It was just a real pleasure to see such nice High Grade and Gem Grade Turquoise being produced. 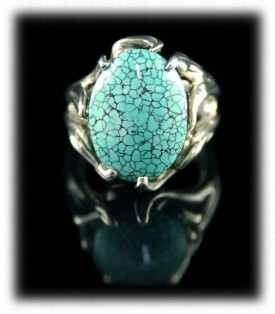 I’m sure this will be destined to be another sought after American Turquoise by Jewelry’s and Collectors alike. The Blue Moon Turquoise mine was recently re-opened in the fall of 2011. In the past this material has not been seen much and therefore is considered very rare and hard to come by. This will now change, not that the value will change much because most of this material will go to elite jewelers and collectors! The Blue Moon Turquoise mine is now owned and operated by Blue Dream mining company, aka the Ottesons. The Blue Moon Turquoise mine is owned by Dean and Donna Otteson of Tonopah, Nevada. The Otteson own several Turquoise mines including the Blue Moon Turquoise mine, the Royston Turquoise mine, the White Buffalo Turquoise mine, and many more! The Otteson’s have been mining Turquoise in Nevada for several generations and are considered to be some of the last real Turquoise miners in America. The Blue Moon Turquoise mine is their newest Turquoise mine the Ottesons have aquired. The Blue Moon Turquoise mine will now be properly mined and we will all benefit! The Blue Moon Turquoise mine produces several looks of Turquoise. The mine mainly produces a light blue colored Turquoise. 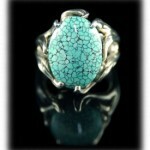 The Blue Moon Turquoise mine has always been known for black spider web Turquoise. Today the Blue Moon Turquoise mine is producing both black spider web Turquoise and a clear blue Turquoise. The Blue Moon Turquoise mine also produces on occasion water web or birdseye Turquoise. Most of the Blue Moon Turquoise coming out today is a light Robin’s Egg Blue to a medium blue. It is rare to get a deep blue Turquoise. It is extra rare to get a deep blue black spider web Turquoise from the Blue Moon Turquoise mine. 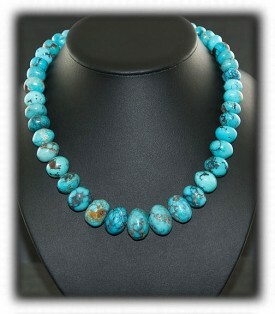 The high grade Blue Moon Turquoise is hard and between a 5 – 6 on the Mohs scale. 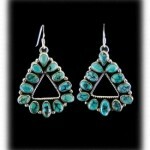 Thank you for reading our brief informational page about the Blue Moon Turquoise mine.